Comments: This is a green and creamy-white variegated selection that lightens up dark shaded spaces. It produces blue flowers in spring. 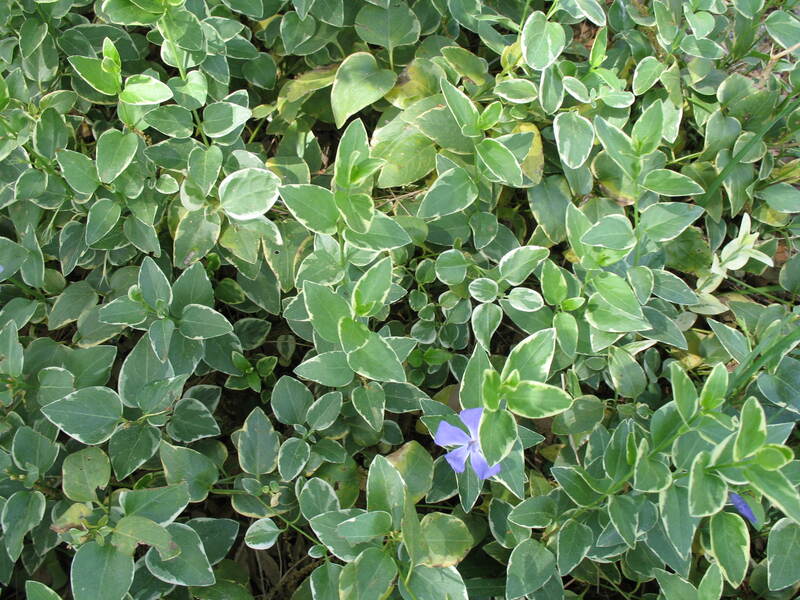 This vinca needs more light than the solid green selection. Groom established plantings by cutting back plants periodically to keep the plantings tidy and rejuvenated. Also fertilize plants in late winter through early spring.